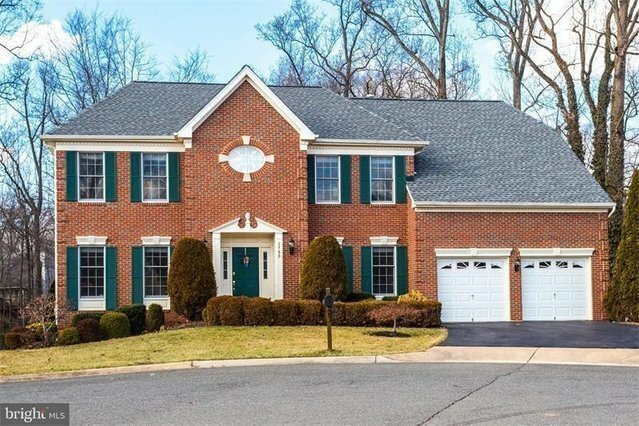 Stunning 4 bed 4.5 bath home (with 4 beds and 3 full baths on the upper floor) in the desirable community of Fair Oaks Chase. Fantastic cul-de-sac location overlooking an open and green backspace. Upgraded and very well maintained. Open kitchen with a center island and a lovely sun room next to it. Newly updated stainless steel appliances, upgraded cabinets and granite counters. High ceilings in the Family room with a stone gas fireplace. A large main level Library with built-in book shelves overlooks the green space. Beautiful Master suite with a large walk-in closet, 3 other bedrooms with 3 full baths on the upper level. A fully finished walkout basement with an open layout for your enjoyment. A lovely low maintenance deck with a view of the calm and serene backyard. Roof, Furnace, A/C's, window screens and kitchen appliances all replaced within the last 3 years. Excellent schools - Navy, Franklin and Oakton. Close to Fairfax Town Center, Fairfax Corner and Fair Oaks Mall. Five grocery stores within a few miles. Metro bus outside the community. Come home to 5,400 sq feet of luxury living. Drone Video at https://youtu.be/rdSZMo4gLKc.